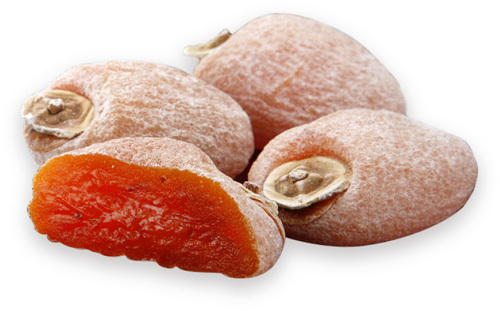 "Ichida persimmon" was born from the history of the astringent persimmon cultivation in has continued for more than 500 years of Japan Nagano Prefecture Minami Shinshu region (Iida City and shimoina district). The name "Ichida persimmon" is, has been derived from the birthplace a is Ichida village (Ichida current Nagano Prefecture Takamori-machi). Elegant and delicate appearance that wears its white powder, we can say the art of dried persimmons. Copyright © ICHIDAGAKI All Rights Reserved.